Contents: Coordinates; The Straight Line; The Circle; The Parabola; The Ellipse; The Hyperbola; Transformation Of Coordinates; The General Equation Of The Second Degree; Sections Of A Cone; Systems Of Conics; Tangents And Polars Of The Conic; Polar Coordinates; Equations And Graphics Of Certain Curves; Problems On Loci; etc. Axioms were uncovered in Euclid's geometry. These discoveries were organized into a more rigorous axiomatic system by David Hilbert in his Grundlagen der Geometrie (1899) which contained his definitive set of axioms for Euclidean geometry. We outline some interesting results with illustrations made by dynamic software. 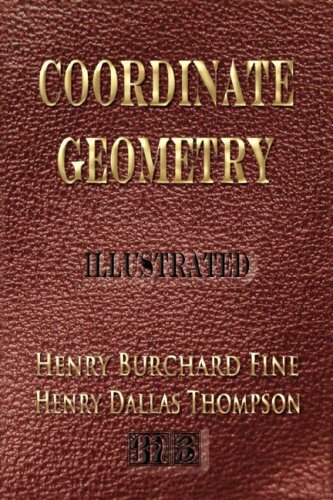 We center around the notions of reflection and isogonal conjugation, and introduce a number of interesting triangle centers, lines, conics, and a few cubic curves.